Leslie Varkony was a Holocaust survivor and Olympic water polo player who ran a textile business, Adler Woolens Fabric, at 411 S. Wells for more than twenty years. He was orphaned when he lost his immediate family during Germany’s march into his native Hungary in World War II. Leslie was a star water polo player who competed in events in the United States and abroad, including the Israel Maccabiah and Central American-Caribbean games. From the mid-1950s to the early 1970s, he won several gold, silver and bronze medals. The gold medal in 1965 was the USA’s first international gold medal since the 1904 Olympics held in St. Louis. 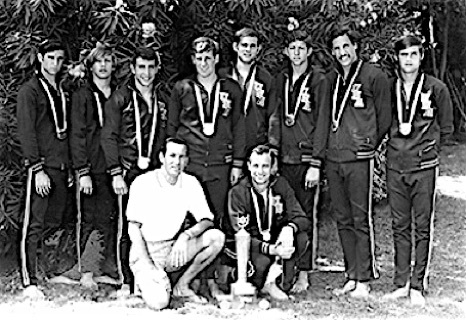 He won two more Maccabiah games’ gold medals in 1969 and 1973.